Don’t miss out on this tail wagging evening of entertainment! The event begins at 5:30 with a silent auction featuring over 100 items, nibbles and cash bar, followed by a live auction and pet photo contest. The action will continue with new films from Bow Wow Film Festival, a film celebration for the “love of dog.” Click here for more details! 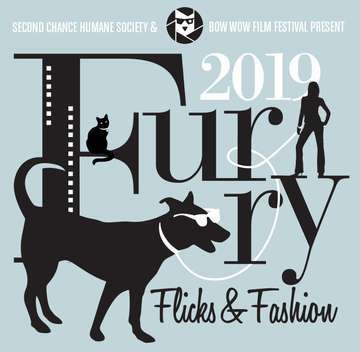 The evening will conclude with a doggie fashion show featuring our very own shelter dogs modeling the latest fashion trends from Chow Down Pet Supplies in Montrose. All proceeds benefit Second Chance Humane Society. Your financial support helps support the Second Chance mission of Saving Lives & Promoting the Human-Animal Bond. Tickets are $15 for adults in advance and $20 at the door. Children 12 and under are $12 in advance and $15 at the door. Tickets can be purchased online until midnight on Friday, March 8 or in person at the Second Chance Thrift Shop in Ridgway. Online sales have now closed, but tickets will still be available at the door.